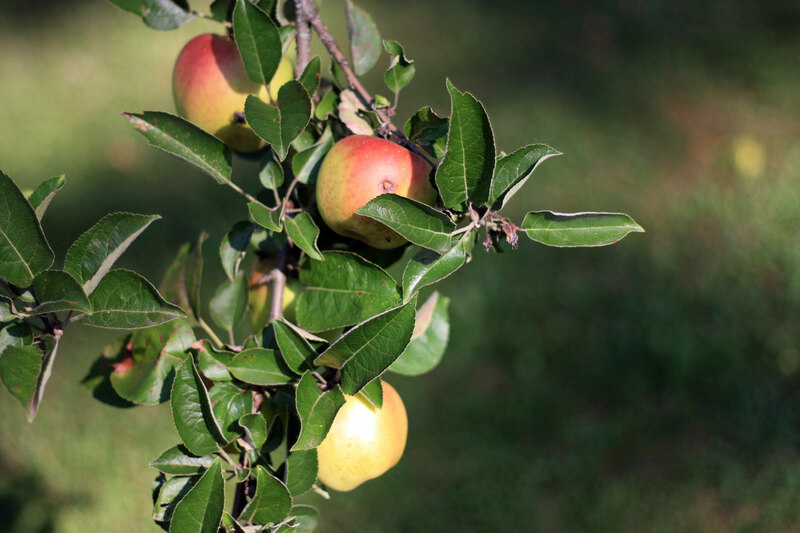 Healthy use of local fruit is a possibility that goes beyond the borders of London and the UK. With so many private gardens and its green belt, London is a great place to test and develop local fruit use initiatives. Draft label ∅95mm for a product test in a 220ml tamper-evident plastic container. 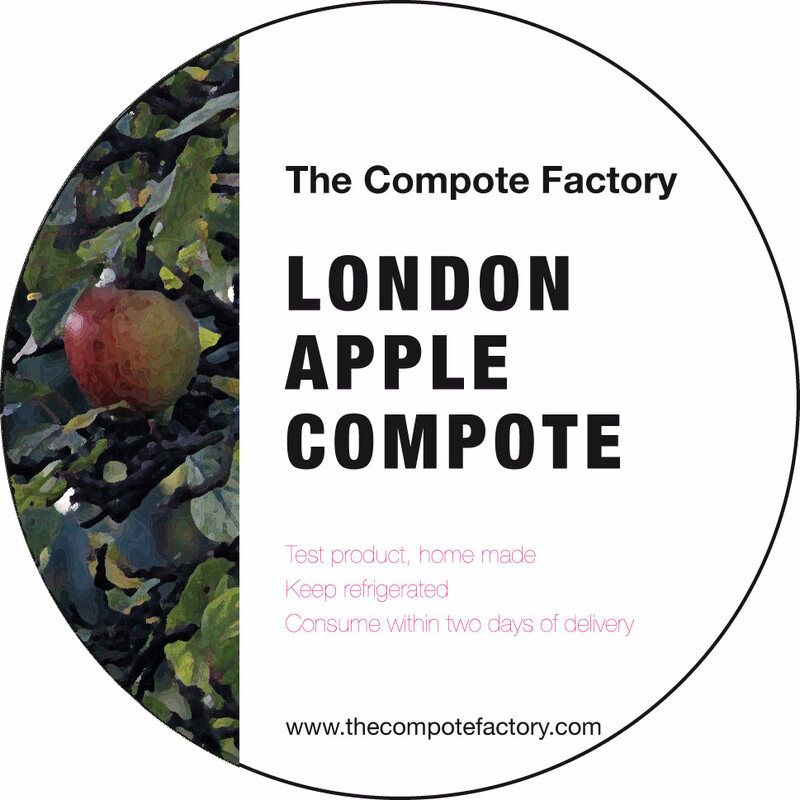 Compote to be made in a local production unit with apples harvested in London. This November 2012 project of mine has not been taken further yet. In the coming years? There is potential in the whole of the UK, with nine in ten homes having a garden, a figure that should be broadly the same in 2020 despite a slight decline (source The Telegraph 12th July 2009). And the potential is huge outside the UK, in Europe and the rest of the world. I bet that the 36 Million tons of apples produced in China in 2011 according to FAOSTAT, which account for almost half of the world total, do not only come from large agro-businesses. This estimate, so big compared to other countries such as the USA, must take into account Chinese local productions which are eaten locally, maybe from as little gardens as our homes’. Do the Chinese only eat their apples fresh, how do they store them, preserve them, what will they do in the future? I’d like to know, and surely our countries could work together towards a more sustainable production and consumption of healthy local fruit. In France, seven homes out of ten have a garden, slightly above the German six and far more than the Spanish three (source: ‘Enquête Européenne UNEP – IPSOS 2013‘). Yesterday we ate a compote made by my father with apples from his garden here in France, from where I am writing today. In my father’s garden, near Aurillac. France, August 2011. It was delicious, so tasty, made with apples that grew without pesticides nor fertilizers. But it was sweet, much sweeter than the compote we now make at home in the UK. I used to like this sweet compote which I ate all my childhood, yet now we add less sugar. Different generations, different attitudes towards food, and personal taste evolves too! Actually my father added some raspberry jam to the compote, eating the lot with a biscuit. I had bought the jam on the local market on Saturday, as our own stocks are now low. It made me smile, and we had a laugh about it. He used to tell me that this sort of thing was “mettre du beurre sur du beurre” (add butter on butter). Well, he does it too. Compote, or stewed fruit, or fruit purée, or fruit sauce, I still don’t know how to call this in English, is just one way of using garden fruit, but it surely makes a healthy food product. Cakes is an other one. A healthy cake with healthy fruit in it. Any candidates? This entry was posted in Stories and tagged Apples, France, UK by Les Jardins d'ici. Bookmark the permalink.